LONDON — Five years ago the Royal Navy was reeling from the impact of the British government’s 2010 Strategic Defence and Security Review (SDSR), a financially-driven undertaking that resulted in the scrapping of the last two Invincible-class light aircraft carriers, the withdrawal from service of their Harrier jets, the sale of one amphibious-dock ship and the mothballing of another and severe cuts to the destroyer and frigate force. 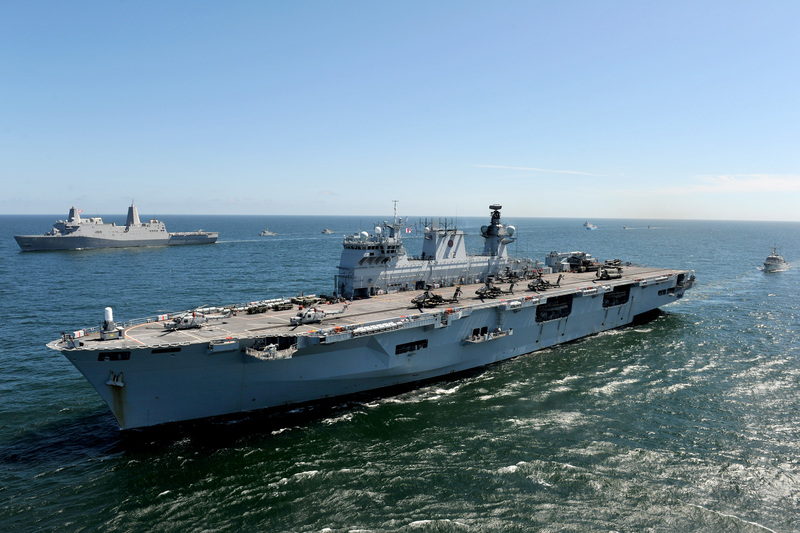 Now the senior service is embarking on a fresh maritime renaissance that will see it deliver enhanced capabilities in partnership with its most enduring ally. That, at least, was the message delivered by the Royal Navy’s First Sea Lord Adm. George Zambellas and his American counterpart at a joint seminar in London on Wednesday. 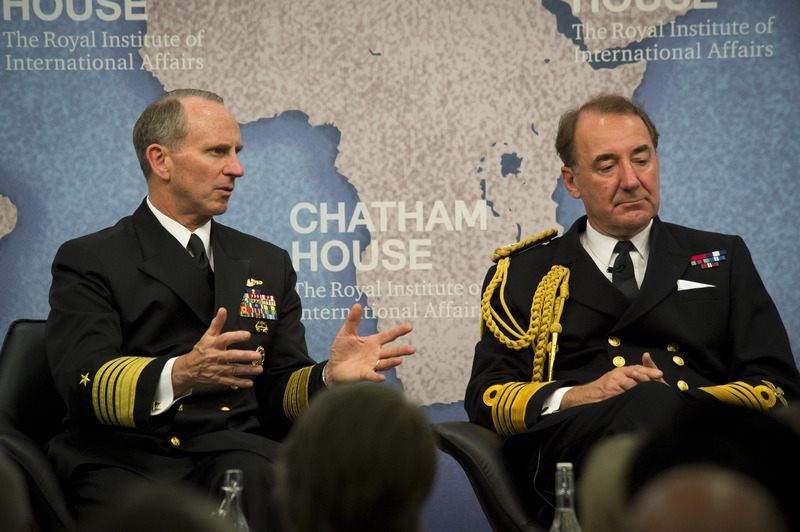 “There are few areas where our strategic interests are more natural, or our global interests are more aligned, than at sea,” Zambellas told an audience at the Royal Institute of International Affairs — also known as Chatham House. The introduction of a wealth of new assets—including aircraft carriers, attack and ballistic-missile submarines, destroyers, frigates and offshore patrol vessel—would ensure the Royal Navy is “more credible in the eyes of our most important partner than ever before,” he said. In December 2014, Zambellas and the U.S. Chief of Naval Operations Adm. Jonathan Greenert signed a Combined Sea Power agreement—a shared vision for naval cooperation for the coming 15 years. The close co-ordination of carrier strike operations, with the new Queen Elizabeth-class carriers (including F-35B strike fighters, helicopters and unmanned air systems) reinforcing the capability provided by the U.S. Navy. Additional personnel exchanges, particularly in headquarters and niche roles where it is important to preserve perishable skills. Mutual investment in technologies that permit interoperability, including weapons, sensor systems, data processing and protocols, and autonomous vehicles. Greenert said the future belonged to “collaborative operations, integration, truly global force management and force development” and highlighted continuing cooperative technological work in mine warfare (particularly unmanned underwater systems), antisubmarine warfare (advanced sonar arrays) and in “unique high-tech asymmetric capabilities” such as the F-35, carriers and submarines. 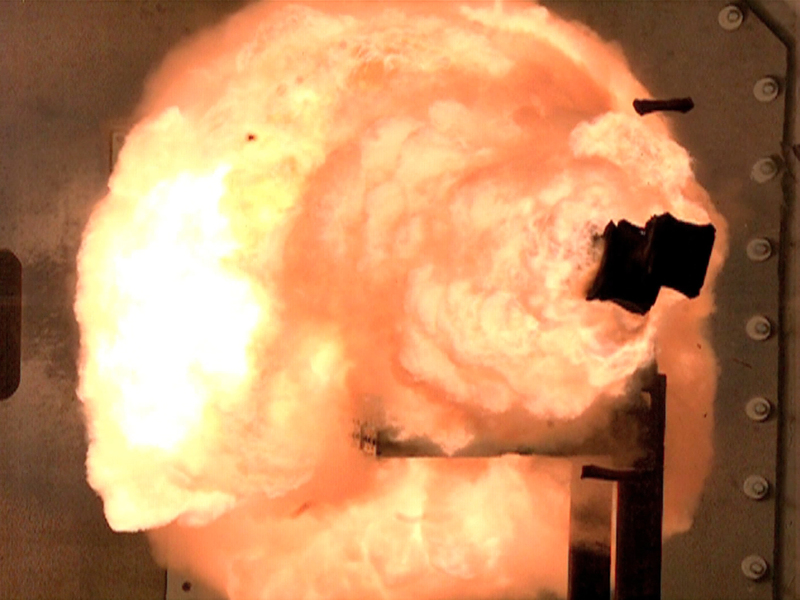 He also disclosed that British exchange officers were working on the U.S. electromagnetic railgun program. The British government recently committed to spending 2 percent of GDP on defense, meeting the NATO guideline figure, and has a 10-year equipment program valued at $249 billion. The results of a second SDSR—with direct U.S. involvement in the process —will be published in 2016. Research agreements for submarines and other undersea systems would ensure “that our two countries maintain our technological edge in a world of weapons proliferation, of exponential technological advance and increased defense competition amongst emerging nations. We do this together as primary partners, indispensible to each other,” he said. Jon Rosamond is a London-based freelance defense journalist specialising in the naval and maritime security arenas, having previously edited Jane’s Navy International and served as defense correspondent on The News in Portsmouth, England, home of the Royal Navy.